SETsquared Bristol has announced a new diversity and inclusion research project, which aims to increase the inclusion and representation of non-white business founders applying to the incubator. 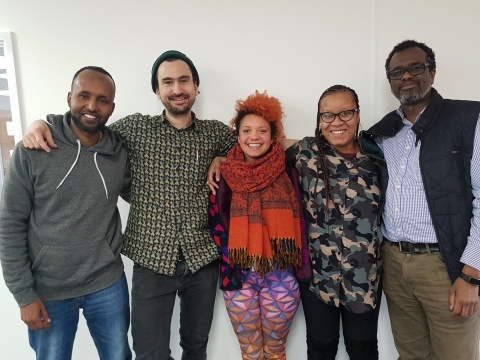 SETsquared Bristol has announced Ashley Community Housing and Up Our Street as research partners for its upcoming diversity and inclusion research project. The project aims to improve and increase the inclusion and representation of Black, Asian and Minority Ethnic (BAME) business founders applying to the incubator. Research from 2017 shows that just four of SETsquared Bristol’s current members have BAME founders, which is not reflective of Bristol’s population, of which 16% are from BAME backgrounds. Currently, 28% of Bristol’s school children are from BAME backgrounds, meaning the non-white workforce will more than double in the next generation of workers. Because of this, SETsquared Bristol has launched this research project to identify the barriers that prevent BAME entrepreneurs applying to SETsquared for business support, and how to attract a consistently larger amount of BAME applicants. In 2016, the West of England Local Enterprise Partnership identified the three main issues facing BAME businesses to be poverty and deprivation in areas with large BAME communities, holistic knowledge of business finance, and red tape and regulations. The same study also found that ‘BAME groups and business leaders are less likely to engage in mainstream business support’, but that 95% of businesses surveyed hoped to grow within the next year. Other perceived barriers to BAME business support include the perception of start-up support in the region, the language used around recruitment, founders not looking outside their immediate community for support, and persisting cultural issues including language barriers. This is the first time SETsquared Bristol has partnered with local community organisations to conduct research, following on from the incubator’s 2015 research project to improve representation of women within their membership. Ashley Community Housing and Up Our Street will work together to determine the BAME applicant pool of entrepreneurs, businesses, and founders with the potential to apply to SETsquared Bristol, find out if they are aware of the support available to them in the Bristol ecosystem, and identify what can be learned from BAME founders of tech companies who have succeeded in incubators and accelerators. Ashley Community Housing and Up Our Street’s research report with findings and recommendations for engaging with diverse entrepreneurs will be submitted at the end of May. If you have any ideas to increase inclusion and diversity in SETsquared Bristol’s incubator, we want to hear from you. To find out more about SETsquared Bristol activities, sign up to our newsletter.